Our quarry producer located in Bunbury, 180km south of Perth continues to lead the industry in supplying concrete aggregate to the construction and building sector. Our customer is part of a larger organisation which has an extensive network of more than 200 concrete plants and 88 quarry operations. Kinder Australia were invited on site by the Quarry Manager to observe, review and provide recommendations with the intent to incorporate future operational improvements in terms of productivity efficiency, reliability and profitability. From the initial site inspection with the Quarry Manager, it was noted during peak periods that production was halted due to major conveyor belt damage. This resulted in several conveyor belt failures and complete production shutdowns requiring maintenance time and resources to rectify the belt damage. Kinder Applications Team observed and reported “transfer points were incorrectly located in the transition zone, this factor contributed to premature conveyor belt and trough roller failures, due to the high tension”. With an unsupported conveyor belt within the critical loading zone, conveyed rock material could be seen bouncing along the conveyor belt and ejecting onto the nearby walkway. Material spillage left uncontained was reportedly causing manual handling requirements in the form of cleaning by site maintenance and production teams. To address the major concerns observed at the initial site inspection, Kinder Applications Team proposed installing the K-Shield Impact Belt Support System, specifically to improve material containment at high impact transfer points on the conveyor belting system. K-Shield Impact Belt Support System has no moving parts and therefore not subject to failure and free from continually costly maintenance time and labour resources, Kinder Applications Team’s proposal to the quarry clearly highlighted this key benefit and well as a host of others. The K-Shield Impact Belt Support System is a custom engineered solution delivering extra support under the moving conveyor belt. By providing a continuous trough profile and helping to stabilise the load at the transfer point, the solution ultimately reduces material spillage and manual handling. 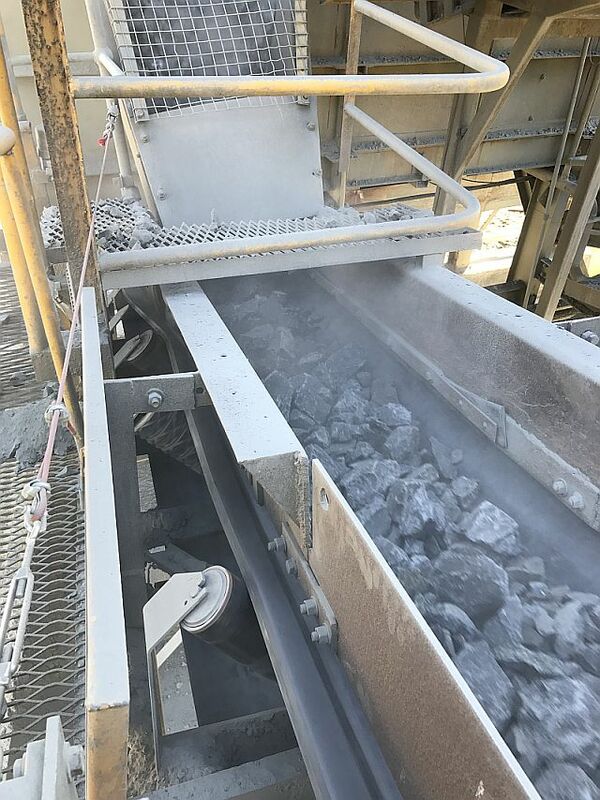 Prior to installing the K-Shield Impact Belt Support System, the Quarry Manager had researched and was staggered to reveal on average two conveyor belts a year required replacement at $4,200 per belt, plus the additional repairs and associated downtime relating to the damage. This represented a significant burden on the quarry’s operation and profitability. Within four months, the cost of the K-Shield Impact Belt Support System installation was literally paying for itself, with a reduction in conveyor belt replacements and repairs, which would’ve cost $5,372.85. The Quarry Manager was also pleased to report the new conveyor belt is still in excellent condition and functioning at maximum productivity. The major concerns of production downtime and material loss have all been addressed and Kinder Australia’s belt support solution without doubt assists in improving the quarry’s availability and productivity. Costs savings from a reduction in belt damage/repair and maintenance costs have meant other challenges within the operation can be addressed for further productivity enhancements.